Evie Jeang is the President and Founder of Raised by a Village. She is also Managing Partner of Ideal Legal Group, Inc., and Surrogacy Concierges. An attorney in both California and New York, Evie is passionate about helping families and individuals with their legal matters, and takes pride in having the opportunity to give a voice to the clients she represents. Evie’s practice areas include, international family law, immigration law, surrogacy law, and workers compensation. It was her experience both as a product of a broken family, as a participant in Asian Youth Center, and a family law attorney, that led her to establish Raised By a Village. A solver of problems, Evie understands the fact that children are often the only ones who “lose” post divorce, and as such, she believes that where two are unable to work together, “the village should step in to help raise a child”. It is this understanding of community that drives her to continue to stay involved and give back to a community that has given her so much. When Evie is not working feverishly to better one of her many businesses or her community, she is busy tending to her favorite job of all, serving as a mother to her young son, Evan. Aaron Gbewonyo is the Executive Director of Raised by a Village. 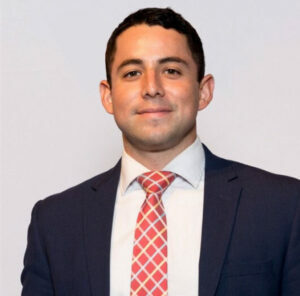 He also serves as the General Counsel for Surrogacy Concierge, LLC and is an associate attorney practicing in the areas of family law, immigration, corporations and workers compensation. When Mr. Gbewonyo is not working, he is either coaching a youth basketball team, or serving as a mentor to the young men of his undergraduate fraternity, Sigma Alpha Epsilon at California State University, Northridge. 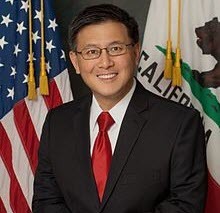 John Chiang serves as California’s State Treasurer and previously served as State Controller and Board of Equalization member. A long time politician, John has a passion for service and community. John is currently running for California State Governor. 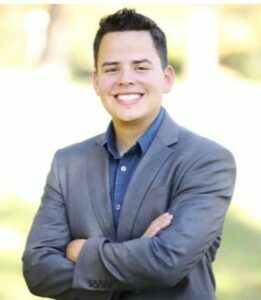 In April of 2016, Andrew was elected as the youngest City Councilman in the city of Los Angeles. Andrew is passionate about politics, and this passion is only second to his commitment to the community Andrew finds passion in giving back to his community, and advocating to bring about change and opportunity of the people of Walnut, a city of which he has been a lifelong resident. Andrew attended Rutgers University, where he studied political science and was a member of Sigma Alpha Epsilon Fraternity. 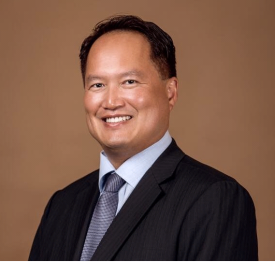 Dr. Jeng is a successful dentist and attorney who brings a bevy of experience to the board. He wears a number of hats serving, including, but not limited to- serving as the Planning Commissioner for the City of La Habra Heights, he is the Vice President of Legal Compliance and General Counsel of Kings Two Dental Corporation, and also runs a successful dental practice in La Habra..
Media consultant and content producer. Broadcast/Print international correspondent specialized in cinema coverage. Eddie is the Owner and CEO of a successful construction company, Dynasty Builders Inc., here in Los Angeles. Eddie is extremely passionate about the community and giving back. It is this passion and desire that led him to not only serve as an Ambassador for the Chamber of Commerce, but which also inspired him to get involved in Raised by a Village. Justin enjoys nothing more than obtaining justice for his clients through trial by jury. He is a graduate of Gerry Spence’s famed Trial Lawyers College at Thunderhead Ranch in Wyoming. He is a lifetime member of the Multi-Million Dollar Advocates Forum. In his free time, Justin plays the saxophone, piano and guitar. He is an avid sailor and has crewed in long distance races, including the Newport Beach to Ensenada Mexico boat race. He is an open water swimmer, and won the “Escape from Alcatraz” swim across the San Francisco bay in his age group in 1999. He also enjoys competing in triathlons. Hannah An comes from a family of great restaurateurs and was a child of Vietnam. Hannah honors the great culinary traditions that she grew up with. While at the same time bringing her many years of culinary experience to the mainstream market, she challenges each guest to elevate their palate with unique dishes and an easy to enjoy balanced food philosophy. The District by Hannah An embodies the philosophy of the now consumer, a more savvy food explorer that wants to taste fresh farm to table foods made in the style of the country of origin. Hannah's 30 years of experience in Fine Dining and successful mainstream foodservice has allowed her to capture the pulse of the ever evolving wants and needs of the dining population. Hannah An has created a brand (The District) that is unique and simple while at the same time exciting and elegant. Her mixture of balance and taste wrapped into an experience that is enjoyed by guests of all ages is a welcome respite on the food scene. Come to The District by Hannah An and experience Hannah's answer to Culinary Happiness. 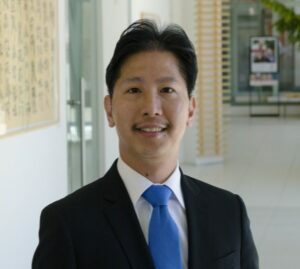 James Lin is the Senior Vice President and Director of Retail Banking at Universal Bank. James is a solution-driven leader with more than 21 years of consumer and commercial banking experience. Areas of expertise include executing tactical strategies, implementing sales and service processes, leading a team to achieve significant results, and working with a variety of business units to successfully complete cross-functional projects and to improve organizational infrastructure. Before joining Universal Bank, James has held many management positions at East West Bank with 11-year process improvement track record and 10-year retail sales and branch management with Bank of America. James has also participated in the Leadership Circle and HomeWalk events to support the United Way of Greater Los Angeles for more than 10 years. Science and a minor in Criminology. At Fresno State, he was a Pomona Valley Baseball Scholar and Captain of Mock Trial. A California native, Robert is passionate about giving back to the community that has given him so much. Mike is a successful businessperson, global connector, mentor, world traveler, author, and wellness and wealth trainer. He enjoys working closely with groups and individuals, and when he is not working, he can be found enjoying life to the fullest and teaching his young puppy new tricks. 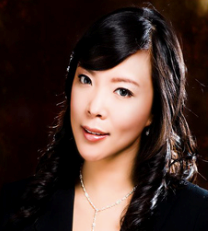 Simone Liu is a Wealth Management Expert and VP of Investments at Wells Fargo Advisors, Beverly Hills. For the past 14 years, Ms. Liu continues to bring her vast expertise in wealth management solutions and sound investment strategies for individuals and families throughout US and abroad to help them preserve their assets and increase their net worth. As a board member of RotaryLA5, Ms Liu supports The American Cancer Society, American Chinese CEO society and the Global federation of Chinese Business Women. 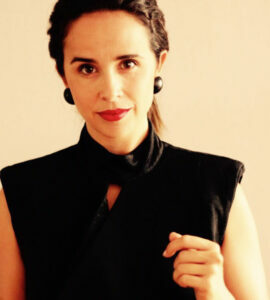 Jenny Penich is the West Coast Executive Sales Director at Refinery29, overseeing and building strategic partnerships with CMOs and Marketing Directors in the fashion and retail vertical. After spending most of her career in media overseeing brands like Angeleno magazine and People Stylewatch on the west coast, Jenny is thrilled to be at Refinery29, a women's media publisher dedicated to giving women the tools, not the rules, to claim their power. Jenny is originally from Chicago, IL, and now resides in Brentwood with her husband Tom, and French Bulldog, Duke. Shannon Palmer is a 4th generation Angeleno, born and raised in Pasadena, CA. He has been involved in the Los Angeles design community for almost 25 years. 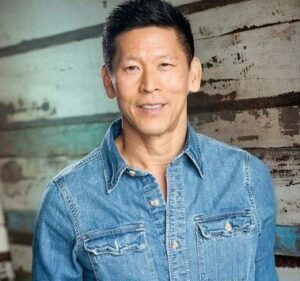 Today, he is an Interior Designer and is the owner of “Shannon Design.” He graduated in 1996 with a degree in Interior Design from the Fashion Institute of Design in Los Angeles. After graduating at the top of his class, Shannon went on to work for some of the top residential Interior Designers in the Los Angeles are over the next six years. He had the opportunity to work with clients such as Cybill Shepherd, Baby Face, Jennifer Lopez, and the Marciano’s of Guess Jeans. Having a strong education and foundation in the design industry, Shannon opened his Interior Design business “Interior Concepts” in 2001. Having a clear passion and focus on interiors, furniture design, and landscape design, Shannon continued his business for the next 10 years, later becoming more well known as “Shannon Palmer Interior Design Inc.” In 2011, Shannon set out to explore other exciting opportunities in the Interior Design industry. He closed “Shannon Palmer Interior Design Inc.” to pursue an amazing opportunity with Baker furniture Los Angeles, as Sales Representative working with some of the finest American furniture produced. 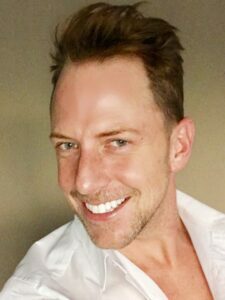 In 2012 he was offered a position with Edelman Leather, where he worked for the next 5 ½ years as an Outside Sales Representative covering the Southern California and Las Vegas regions. He worked with Residential and Hospitality designers providing them and their clients with some of the most coveted Italian leather in the industry. In May of 2017, Shannon left his position with Edelman Leather and was eager to follow his lifelong passion and dream as an Interior Designer, once again. Shannon is extremely proud to announce the opening of his Interior Design firm in Los Angeles, now called “Shannon Design.” Shannon is an incredible and talented Interior Designer who works well with many personalities and styles. 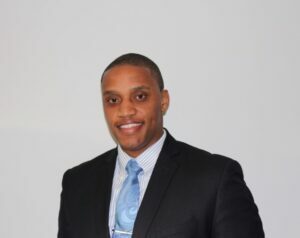 He finds it extremely important to give back to our community and is looking forward to his position as a Board Member supporting the “Raised By A Village” foundation.